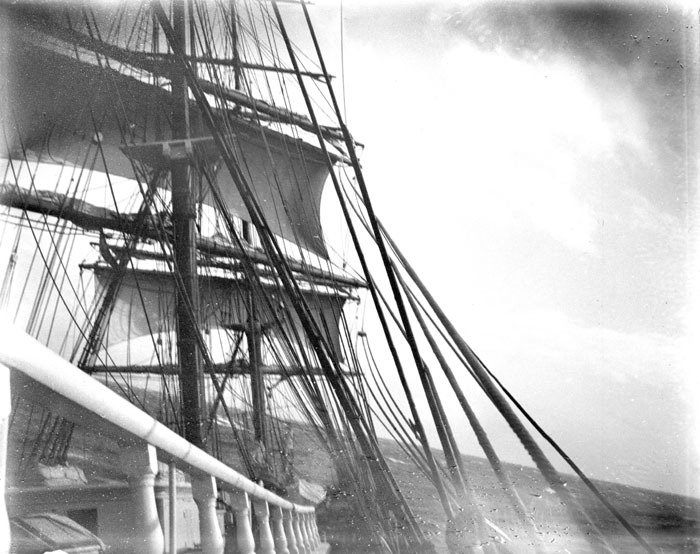 The Articles of Agreement is a contract between the ship and the crew, outlining appropriate behavior, wages, length of voyage, and food provided to the crew. 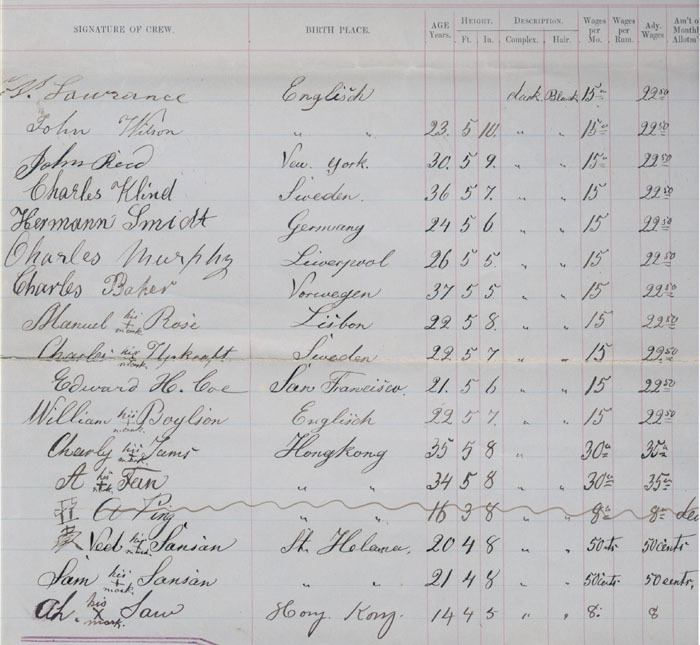 This contract is for a voyage from Hong Kong to San Francisco or Portland on the Kennebunkport owned ship Frank N. Thayer in 1874. The original is about 21" wide and 24" long, so it is a big piece of paper! The bark Carrie Winslow is sailing in a strong wind off the starboard bow, on the starboard tack. 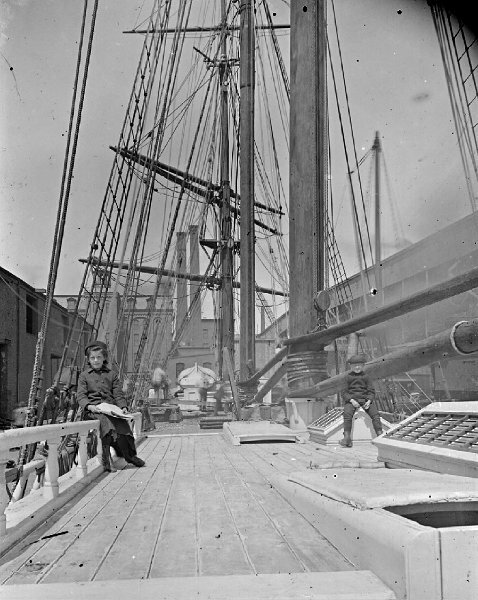 Only the main and fore topsails are shown set in this photo. 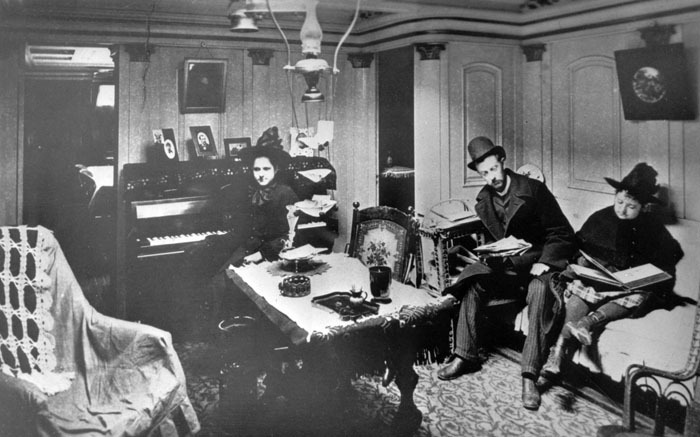 The photograph was taken by the captain's daughter, Ruth Montgomery. Sea shanties are work songs that helped sailors pull together. They also helped keep up the spirits of the men, particularly after hours of hard work. This movie shows how coordinating pulling makes for more effective work, and it notes that shanties help coordinate pulling by providing a rhythm. We are assisted in this movie by the second graders of Lincolnville Central School. Thanks! Read more about Why Do We Sing Shanties? Hauling up the yard with the halyard took a lot of strength and coordination on a large sailing ship. To help get everyone to haul together, sailors used sea shanties, or work songs of the sea. We demonstrate on Penobscot Marine Museum's Yard-in-the-Yard demonstration model how to raise the sail with the yard to which it is attached. We are assisted by the second grade class at Lincolnville Central School. Thanks! Furling a square sail on Penobscot Marine Museum's Yard-in-the-Yard demonstration model and tying a gasket. We demonstrate how a capstan works pulling up an anchor or hauling in any other line. The Hyde Windlass Company capstan at Penobscot Marine Museum is similar to that used on many Down Easters in the late nineteenth century. The sound of five bells on a ship's clock goes: ding-ding, ding-ding, ding. 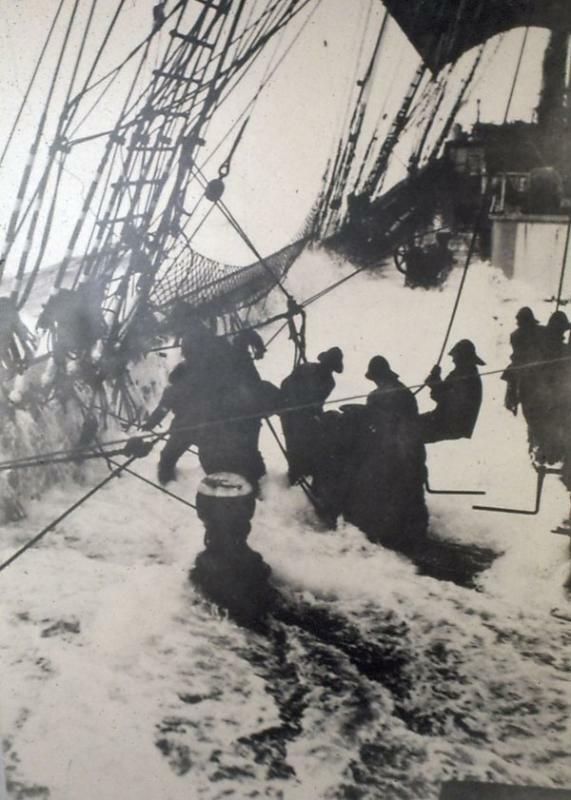 Working at sea in the middle of a storm was hard and wet work. Nets were sometimes set outside of the bulwarks to catch seamen to keep them from being swept overboard in a big breaking sea.